Having a museum plan in your pocket before you visit a museum is always a great idea. Many of London's Museums are very large indeed and if you are visiting London and want to see as much as possible you may not want to spend all of your time wandering around museums. Keep map and mark the things you want to see next time as you walk round. and download your free map. 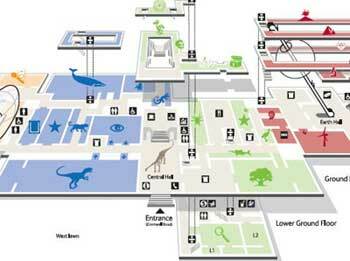 All the downloadable museum floor plans are in PDF format. Admission Charge - 12-13 New Wharf Road, N1 9RT.